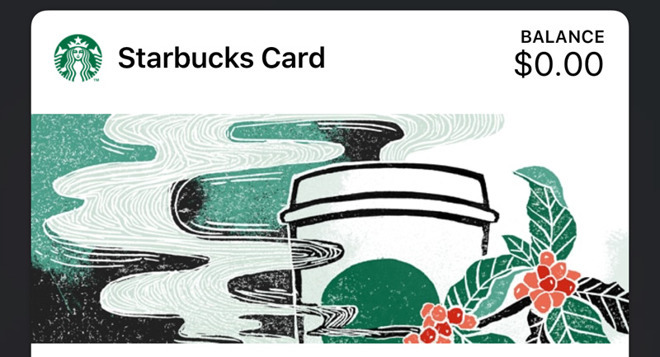 Starting in April, iPhone owners will be able to gift Starbucks purchases to others by way of the native iOS Messages app and Apple Pay, the coffee chain announced on Wednesday. No other details were immediately available. The option was revealed alongside the company's annual shareholders' meeting. Presumably the feature will come through a new integrated iMessage app. Apple introduced a dedicated Messages App Store in September with the arrival of iOS 10, but since then, the only Starbucks contribution has been a sticker pack. The company separately said it will continue to expand the availability of its "My Starbucks" virtual barista, which is currently limited to somewhere over 100,000 users of the company's main iPhone app. This lets people place orders via voice or messaging, instead of having to use the app's menu system. Android support is planned, but only in "subsequent releases," the company said. Starbucks has long been a close partner of Apple, until recently for example providing free iTunes and App Store downloads. It already supports Apple Pay elsewhere, including its iOS app and at checkout. Apple and its partners have been gradually expanding the venues in which Apple Pay can be used. The platform should be coming to more restaurant tables, for example, and recently opened up to U.K. charities.